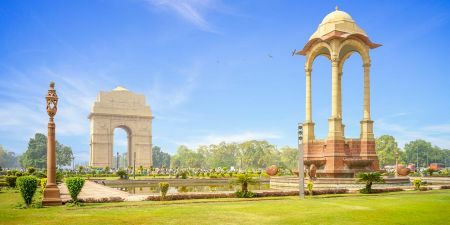 India and Sri Lanka Trip gives you the chance to feel the palm trees sway in the wind, the air fresh and the scents of the river tickle your every fancy as you sail the backwaters of Kerala. Visit India's cities of Kochi, Thekaddy, and Allapuzha. Explore India's landmarks The Jewish Synagogue and St. Francis Church. 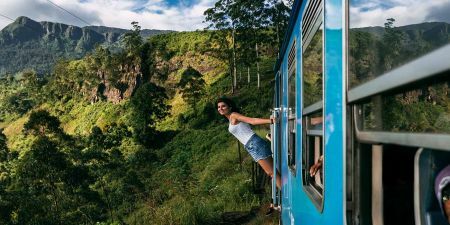 Head to Sri Lanka where sweet coconut water trickles down your lips as you sip a cocktail under an umbrella that lines the many beaches of Colombo. Explore the tea plantations of Nuwara Eliya and also marvel at the wildlife of Periyar reserves. Come and experience the fantasy from Kerala to Sri Lanka. Upon your arrival, you will be met by our representative and get transferred to your hotel at Kochi. After breakfast, enjoy Kochi city tour. First, you will visit The Jewish Synagogue that is magnificently decorated by Chinese tiles and Belgian chandeliers. Then, visit St. Francis Church. Afterwards, visit the Dutch Palace that was originally built by the Portuguese. Then, see the Chinese Fishing Nets (Cheenavala) that are distinctly unique to Cochin. After enjoying your day, you will be transferred back to your hotel in Kochi and Overnight there. After breakfast, you will be driven to Periyar National Park which is one of the 16 Project Tiger Reserves in India and is amongst the most picturesque wildlife sanctuaries in the world. After some rest, enjoy a visit to the aromatic spice plantations of Thekkady. You will see various species of spices and other aromatic plants/herbs. Then, you will be back to your hotel and overnight at Thekkady. After breakfast, you will be driven to Alleppey and board the Houseboat (Kettuvallom) on the World famous Backwaters of Kerala. Overnight in Alleppey Deluxe Houseboat. Disembark the houseboat and then you will check in at your hotel in Kumarakom. After breakfast, you will be driven to Mararikulam. After breakfast, spend day at leisure. After breakfast, you will be transferred to the Airport to board the flight to Colombo. On arrival at Colombo International Airport, you will be met by our representative and transfer to your hotel. After your delicious breakfast, you will be taken to the road for a day discovering Sri Lanka’s wildlife and heritage. The first stop is the enchanting Pinnawala Elephant Orphanage. Afterwards, continue to Dambulla. Visit the Dambullala Rock temple, housing some of the unique drawings in magnificently constructed 5 cave temples flanking the golden temple of Dambulla. After enjoying your day, you will return to your hotel and overnight in Dambulla. Start your tour with a climb to the fifth century Sigiriya fortress. From the summit, enjoy breathtaking views over the surrounding landscape and beyond into the horizon. In the afternoon, explore the well-preserved ruins of the ancient city of Polonnaruwa. Admire the Gal Viharaya with its four statues of the Buddha carved out of rock, the Audience Hall, the Lotus Bath and the statue of King Parakramabahu. Contemplate also the Shiva Temple, the Lankathilake, the Watadage, the Galpotha and much, much more. At the end of the day, return to your hotel and overnight in Dambulla. After breakfast, you will proceed to Kandy. En-route you will visit a spice and herb garden in Matale. Also, you will witness a cookery demonstration and learn about the culinary and therapeutic values of these products. Afterwards, proceed to Kandy and check in at your hotel. In the afternoon, you will proceed on a city tour of Kandy. Visit the Kandy City Centre, bundled with latest and world class brands, bazaar, an arts and crafts center, as well as a gem museum and lapidary. Then, drive towards Victoria Golf Course or walk in color as you glide through fresh fruits and vegetables in the Kandy market. After that, return to your hotel and overnight in Kandy. After breakfast, you will check-out and proceed to Nuwara Eliya via Peradeniya. There is a cafeteria towards the north of the enterance, that one might come across before stepping into some of the highlights. Then, proceed your journey to Tea Plantation. Take a tour to the cold and misty hills of an ultimate tea tour, covering lush green blankets of tea plantations or just step into a tea factory to witness the process of the prestigious brand of Ceylon Tea. Make sure to end your day with a perfectly blended cup of pure Ceylon Tea. Later, you will proceed to Nuwara Eliya and check-in. After breakfast, you will explore Nuwara Eliya. Hike through the green grass and red-brick walls; and drive through green valleys of the hill country pierced by endless waterfalls and dotted by tea pluckers draped in bright-colored saris. Upon arrival, check-in and overnight in Negombo. After your morning breakfast, you will Check-out and Store your luggage with the hotel Concierge. Later, proceed to see Colombo. Drive along the clean streets and ride to Pettah and tune into the Floating Market. Head along Bauddhaloka Mawatha towards 'Arcade' Smell the scent of incense while listening to the chiming bells of Gangarama temple; or jazz up to Colombo's nightlife spiced by night clubs and casinos that borderline its bustle. Later, you will be transferred to Colombo Airport to board the flight back home.